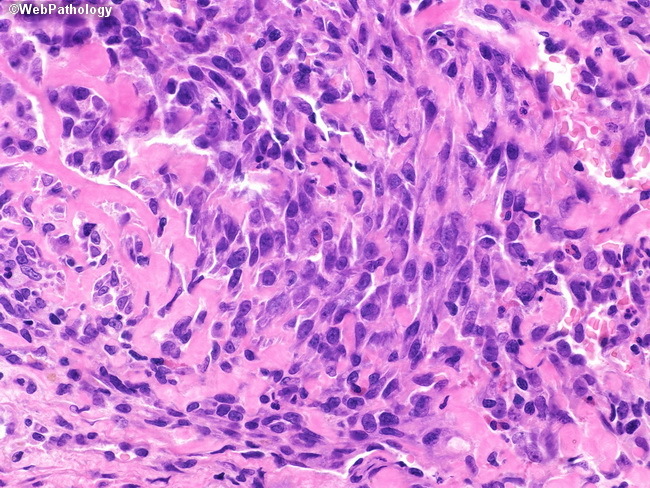 Recent demonstration of anaplastic lymphoma kinase (ALK) by immunohistochemistry in majority of cases supports the view that inflammatory myofibroblastic tumor is a neoplastic process. Besides ALK, other markers frequently expressed in IMTs include cytokeratin, actin, desmin, and p53. They are negative for S100, CD34, and CD117.